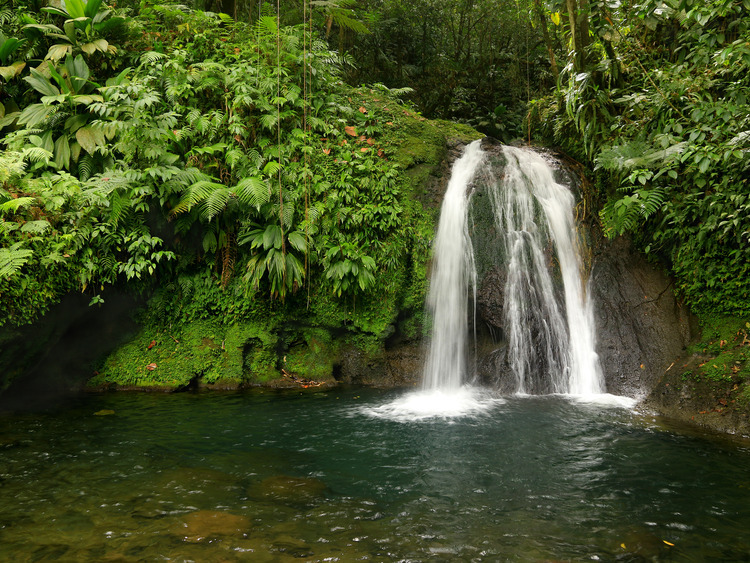 An exciting excursion to see the wonderful Argyle waterfall and cool off in the natural pools after enjoying the view of the Atlantic coast of Tobago. This tour leaves from the port and passes through splendid scenery along the Atlantic coast of Tobago in the direction of Roxborough. From here we tackle the Argyle Waterfalls Trail, a trail that goes through the oldest forest reserve in the western hemisphere. Our guide, who is an expert in natural history, takes us for a twenty minute walk through thick vegetation and points out the various plants and wild animals as we come across them. When we arrive at the Argyle Waterfall, all 3 levels of it, we are left speechless. We are free to dive into the natural pools and enjoy the tranquillity of the surrounding environment. After this splendid experience, before we return to the ship along the same way as we came, there is a last stop at Fort King George, a site of historical interest that dates back to the 17th century .